An experienced finance and operations leader, Cam plays an integral role in supporting client business and leading her team to achieve the best results for clients. Cam runs the day-to-day operations of one of the firm’s business units, encompassing 125 attorneys. 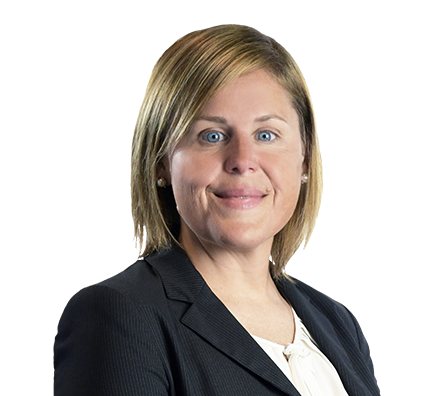 Her considerable legal project management skills ensure that she has the proper people working on business matters to help clients achieve their objectives. She is responsible for developing and executing strategic plans to grow the business, and she handles the budgeting and financial management. In addition, Cam directs recruiting, attorney career growth and communications. Prior to joining Husch Blackwell, Cam served on the executive leadership team at a Milwaukee-based investment firm. Before that, she worked for a top 50 global hedge fund, where she was responsible for operations, investor relations and all aspects of marketing communications. Cam spends her personal time with family. Since her kids are active in soccer, basketball and baseball, Cam spends much of her free time cheering them on from the sidelines. On occasion, she also finds time to play a round of golf. Cam teaches children valuable life lessons about spending and saving money. Cam volunteers with Junior Achievement, where she takes her interest in economics into the classroom. She teaches elementary school children important financial lessons, such as why they should save money, what role taxes play in helping cities run and how much a quarter is really worth. Because there is currently no school curriculum on money or savings, Cam believes the Junior Achievement economics program is a valuable tool for schools and a terrific learning experience for children.